Saeed was first attracted to Jana's love of PHYSICS! I absolutely love that. Jana's a doctor and Saeed works in finance and it's so fun to be able to work with people who are crazy smart and do cool things like heal people. While studying at McMaster University, these two met at Motown night at Absinthe (which I've always wanted to go to but somehow never have). They spent a lot of their university time hiking around Hamilton's waterfalls, including at Sherman Falls. 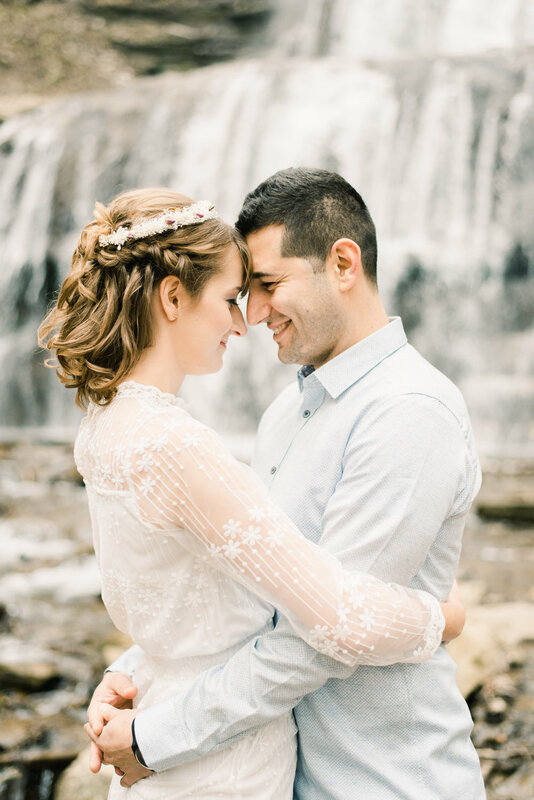 Naturally, Saeed wanted to propose to Jana at a place where they used to spend a lot of time, so after spending the day eating at their favourite breakfast place, and hiking around, Saeed proposed at the falls. 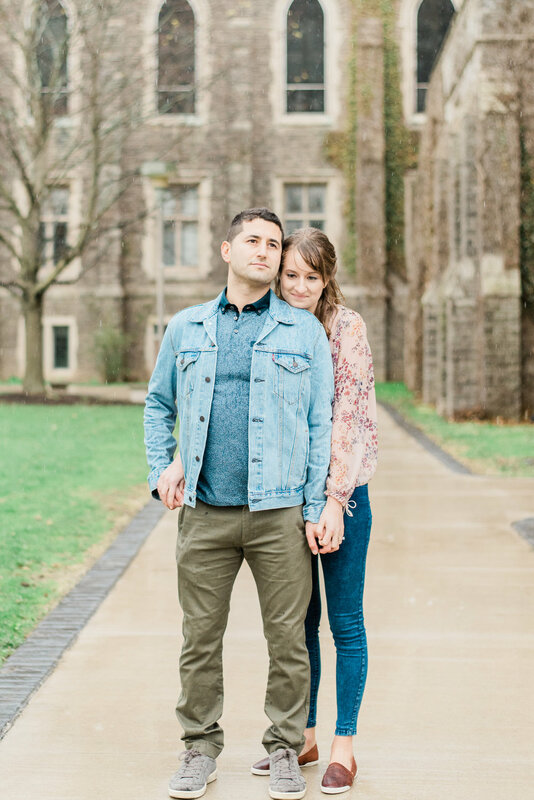 Jana & Saeed wanted their engagement photos to include places that are meaningful to them, so we ventured back to the falls and McMaster for their engagement session. 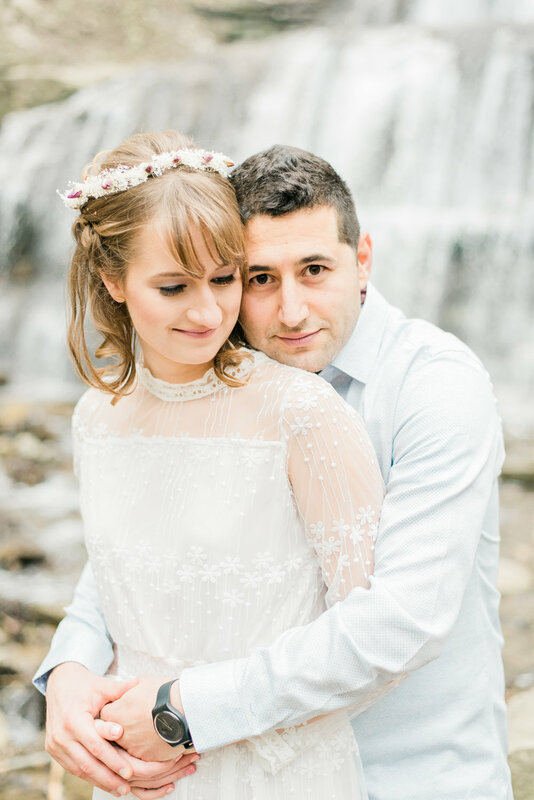 We were fortunate enough to take the first half of the photos before it rained, and Jana & Saeed trekked through the University in a downpour and did not care at all. We embraced the rain and I'm so glad we didn't let it scare us away.